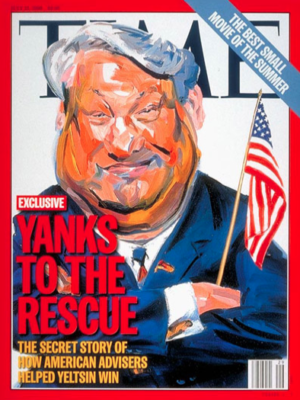 A few days before the Halloween hearings held by the Senate Judiciary Subcommittee on Crime and Terrorism, where powerful tech companies would provide testimony about their roles disseminating “fake news” during the 2016 election, Twitter announced it would no longer accept advertising from the Russian government-sponsored broadcast channel Russia Today (RT), or the state-owned Sputnik. In a Twitter PublicPolicy blog post (10/26/17), the company said it would “off-board advertising from all accounts” owned by RT and Sputnik. The decision was based on its own assessment of the 2016 US election “and the US intelligence community’s conclusion that both RT and Sputnik attempted to interfere with the election on behalf of the Russian government.” As substantiation, Twitter merely provided a link to the January 6, 2017, intelligence report (ODNI). A lonely voice critical of the Twitter ban was the Electronic Frontier Foundation (10/27/17), which warned the action was a threat to free expression, both in the US and globally. 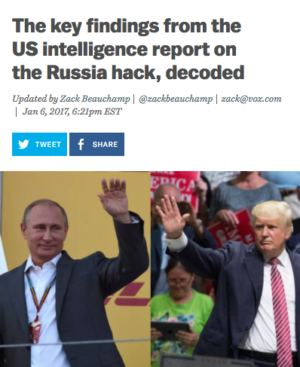 At the time the report was published, Vox (1/6/17) repeated many of the “intelligence” assertions, including the Kremlin propaganda charge. Vox told readers that “RT is way more important than we think,” saying the report contained “striking observations” about RT’s reach, message and proximity to the Russian government. For example, staff at RT’s bureaus are not just close, but “very, very close to the Kremlin.” One network head was from Russia’s “diplomatic service,” and “London’s RT bureau is managed by the daughter” of a former Mikhail Gorbachev speechwriter. have related more to it covering topics that may make the establishment look bad—such as the Occupy Wall Street protests, fracking for natural gas, and the opinions of third-party presidential candidates—than publishing false stories. The US intelligence officials apparently do not like RT reporting about the abuses of the American Security apparatus. They complain that RT‘s reports often characterize the United States as a “surveillance state” and allege widespread infringements of civil liberties, police brutality and drone use (RT, 10/24/12, 10/28/12, 11/1–10/12). Ironically, RT’s own own reporting of the “intelligence” marshaled against it is a masterful illustration of decoding skills no longer very evident in the US commercial media. RT’s January 7 broadcast with Kevin Owen spent almost 15 minutes on the US report, concluding that the “final assessment neither implies that there’s any evidence,” nor proves that there are any facts. Screengrab from RT featured in the ODNI report. This is likely reflective of the Russian government’s concern about the impact of fracking and US natural gas production on the global energy market and the potential challenges to Gazprom’s profitability. 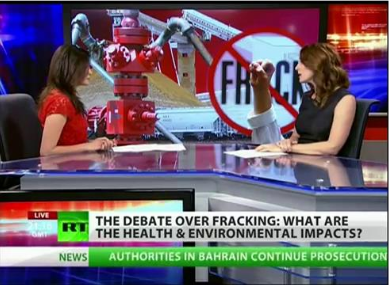 Vox repeated intelligence claims about the alleged motivations for RT’s fracking coverage, but failed to say that stories contained health and environmental impacts of fracking. divisive social and political messages conveyed through social media [that] have negatively affected certain energy sectors, which can depress research and development in the fossil-fuel sector and the expanding potential for natural gas. 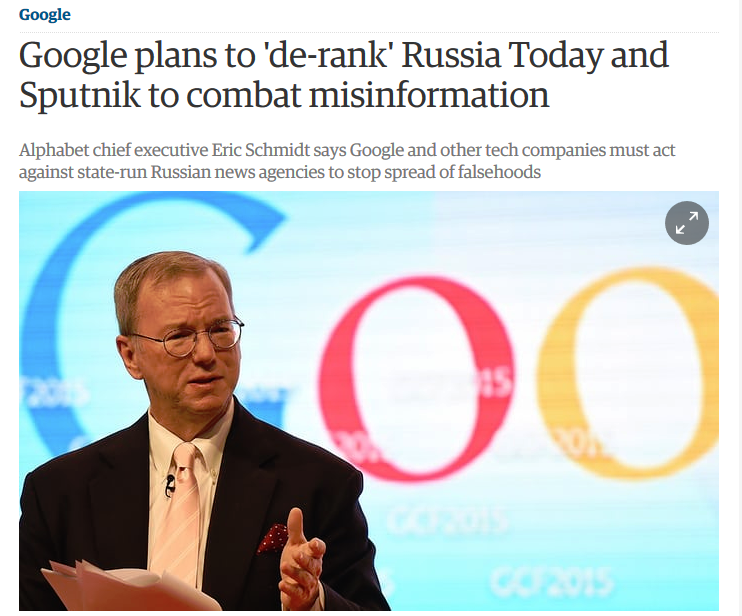 Under pressure to block “fake news,” Twitter banned RT ads, and Google announced that it would “de-rank” stories from RT (and Sputnik as well), placing them lower in search results. But while RT is sponsored by the Russian government, it is still a legitimate international news agency, as are the UK’s BBC News at Ten, Qatar-owned Al Jazeera, and 20 Heures, produced by France 2’s broadcasting service. It offers critical, alternative perspectives unavailable on other channels. It is also clearly labeled, not hidden like a bot or a fabricated Facebook page, allowing the public knowledge of its origination and perspective. RT’s reporting bears striking similarities to alternative and independent media content, and that is why letting the charges against RT stand unexamined is so dangerous. The actions being taken by tech giants to battle fake news are currently having devastating effects on alternative media and freedom of speech, while leaving the worst hate speech and junk news spinning across the internet by right-wing trolls. The way fake news is being defined in this battle is an attack on alternative journalism itself. CNN reported (10/26/17) on a study by Oxford University’s Internet Institute on “‘Junk News’ and 2016 Election,” finding that only 20 percent of sampled tweets contained links to “professional” news. (Together with “professional political news,” they comprise 30 percent of tweets.) The anchor says, “You mean real news, like CNN,” to a nod of approval. Much of the rest of Twitter content is lumped together as ill-defined “junk,” shown on a graph as “polarizing or conspiratorial: Inclu. Wikileaks and Russia”; no mention is made of the racist, hateful or misogynist content of white supremacist trolls. WSWS.org fell by 67 percent. AlterNet.org fell by 63 percent. ConsortiumNews.com fell by 47 percent. SocialistWorker.org fell by 47 percent. MediaMatters.org fell by 42 percent. CommonDreams.org fell by 37 percent. DemocracyNow.org fell by 36 percent. Truth-out.org fell by 25 percent. CounterPunch.org fell by 21 percent. TheIntercept.com fell by 19 percent. Google’s strategy is to downgrade search results for targeted websites based on a supposed desire to limit reader access to “low-quality” information, but the targets reportedly include some of the highest-quality alternative news sites on the internet. AlterNet‘s graph of its website’s traffic after Google instituted its new algorithm. more than half of them—39 out of 69—made money from ads, donations or other revenue streams facilitated by technology companies. At least 10 tech companies played a role directly or indirectly in supporting these sites. 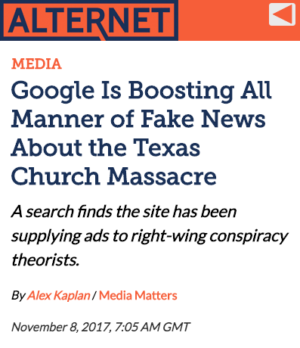 And AlterNet (11/8/17) reported that “Google is continuing to allow the monetization of fake news via its advertising network AdSense,” and boosted numerous fake news stories after the Sutherland Springs, Texas, church massacre. Twitter still has a white supremacy problem. The Root (11/9/17) reported that Twitter gave its coveted “verified” status, denoted by a blue checkmark, to Jason Kessler, the organizer of the white supremacist Charlottesville rally that resulted in the murder of Heather Heyer and the brutal beating of DeAndre Harris at the hand of white supremacists. A blue checkmark from Twitter verifies the users’ tweets and profiles, and they are more likely to appear in searches, allowing messages to be spread faster and reach more people. By verifying Kessler’s account, Twitter is directly enabling white supremacy. The self-serve ease and affordability of Facebook’s ads tool, and the fact that the platform can turn content viral quickly, is why advertisers and manipulators alike love it. Twitter is a high-speed tool for breaking news, and for citizen journalists who need to reach the public and share information. On the other hand, refusing to alter its commercial design, the platform has failed to acknowledge and police the anonymous, automated army of bots. This leads to hashtags spreading vile anti-immigrant content, racism and misogyny as quickly as news and information. Disentangling the hot-button, attention-grabbing stories that go viral from the advertising that supports that content would lower profit margins. Instead, companies are devising artificial intelligence and algorithms that purportedly detect fake news. 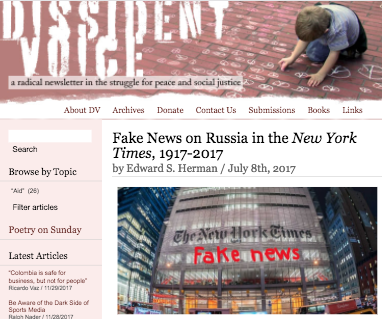 In doing so, they are leading the charge to eliminate independent and alternative views under the guise of Kremlin propaganda, which started last January with charges against RT in the ODNI report. At least 80 times, news sites, including the Telegraph, Metro and BuzzFeed, embedded or quoted tweets known to have been written by a notorious state-backed “troll army” based in St Petersburg. informed lawmakers that its new criteria for identifying a Russian-linked account now includes merely having a user name with Cyrillic characters or tweeting frequently in the Russian language. the preservation and production of all documents, records, electronically-stored information, recordings, data and tangible things, including but not limited to graphs, charts, photographs, images and other documents, regardless of form other than those widely available (e.g. newspaper articles) related to the committee’s investigation, your interview and any ancillary matters. With the spotlight on a “hostile foreign power,” tech companies are allowed to leave intact the commercial digital technologies that spin the weaponized hate of white supremacists and misinformation across the internet. 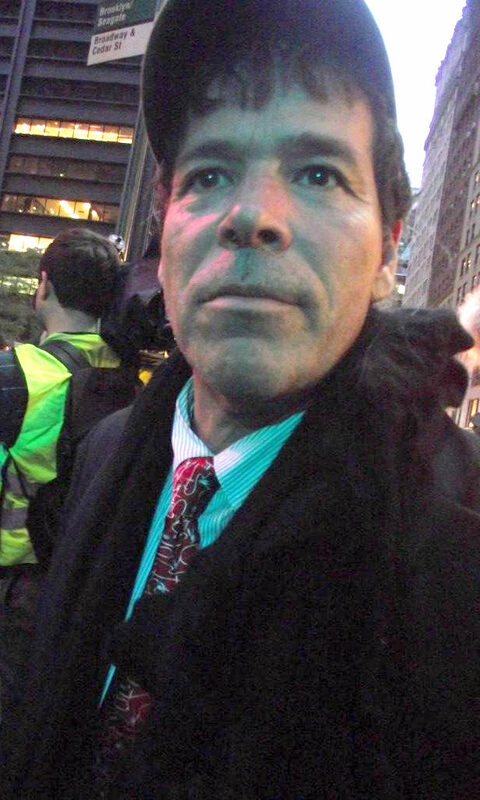 Although hundreds of foreign entities are registered under FARA, international media outlets are almost entirely exempt, and none have registered in over a decade.